Art Therapy can be useful for individuals who have experienced a traumatic event and are experiencing ongoing stress. Activities can facilitate memory reconstruction as well as aid in self-regulating sensory experiences. Art Therapy also provides a relief from verbal communication demands and allows the individual to explore self-expression through visual communication. The most common experiences with stress-related disorders are acute stress disorder and Posttraumatic Stress Disorder (PTSD). You can read our previous case study focusing on acute stress disorder here and read this post for more details on PTSD. Stress events can include natural disasters, war, serious accidents, situations involving violence and abuse or witnessing these violent situations. 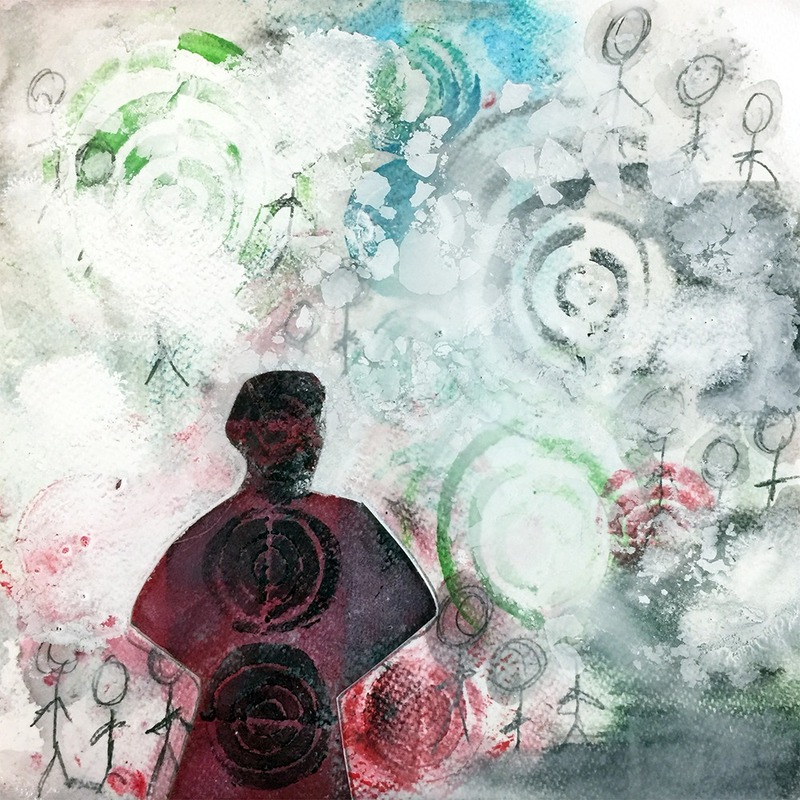 You can read an excellent case study of using art therapy with an active duty military service member with symptoms of chronic PTSD and mild TBI (traumatic brain injury) below. Summary of sessions to date: Kate began art therapy a month ago after receiving a diagnosis of PTSD related to sexual abuse she experienced as a younger child by 3 male relatives. Kate has attended 3 sessions to date where the abuse was discussed along with her symptoms of PTSD. Kate came to therapy today highly anxious and agitated. She explained that she received a promotion in her job where she is required to teach new employees procedures on how to use safety equipment. The thought of addressing her first group of students in 3 weeks has created an enormous amount of stress for Kate and she feels like she won’t be able to do the task. She likes teaching new employees individually, however, the group dynamic is creating stress. Once Kate starts to think about the task and the stress it is creating she starts feeling powerless and under attack. Kate has felt stress in learning new parts of her job before, however, this task makes her feel overwhelmed and unable to cope. She now wants to ask her boss to assign the group presentation task to someone else. Kate and her art therapist discussed exploring the parts of the group presentation that represented the most stressful for Kate. Breaking the task down into elements may give Kate an insight into a specific trigger behind her fear. 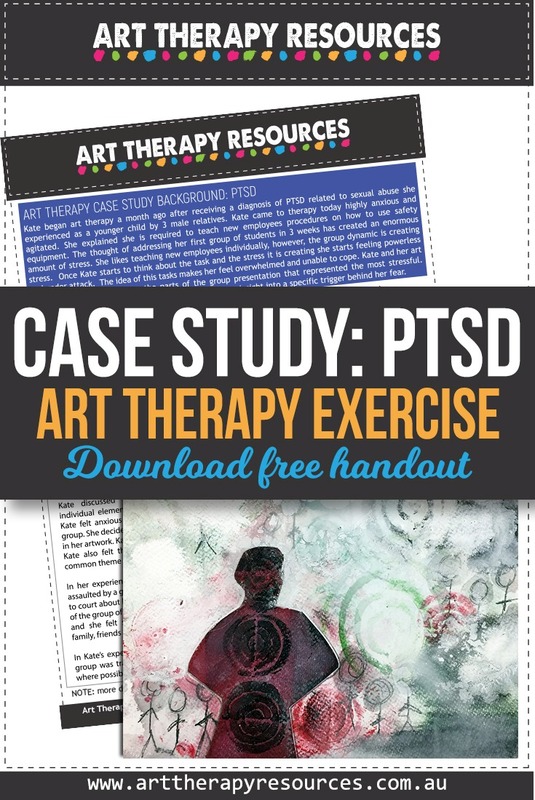 This art therapy exercise can help your client explore a situation that is triggering a conditioned response of avoidance and arousal. Ask your client to engage in some deep breathing if necessary to help alleviate any current feelings of anxiety and fear. Your client should feel safe and secure in this environment to explore and discuss their feelings. Ask your client to reflect on the situation that is currently triggering a fear response. Discuss with your client the individual stages of the situation and the elements of the situation including the location and people involved. These elements may represent a direct threat or memory of a threat to your client. Your client can do this in discussion with you or using art materials to create artwork. As your client walks through the situation in stages, ask them to be mindful of their physical reactions to each stage. A strong physical reaction at a certain stage or when thinking of specific elements of the situation may indicate a link to the strong fear response. Kate looked over her list and felt anxious when considering that she was in front of people. She decided to explore that element more in her artwork. Kate felt threatened by the group. Kate also felt this reaction to a group was a common theme in her traumatic experiences. In her experience of abuse, she was physically assaulted by a group (3 relatives). When she went to court about her abuse, her experience in front of the group of people in the court was traumatic and she felt she received little support from family, friends or professionals. In Kate’s experience being in the presence of a group was traumatic.